Oris last month unveiled Artelier Caliber 113, the fourth in the company’s acclaimed series of 43mm manual-wind, long-power-reserve watches with in-house movements. This latest addition to the series was previewed well ahead of the March 23 start date for Baselworld 2017, where the watch officially debuts. 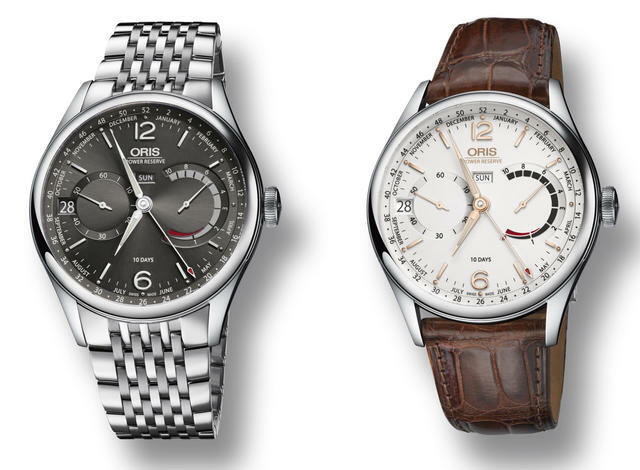 You may recall that three years ago Oris marked its 110th anniversary with Caliber 110, the first complete movement developed by Oris in nearly four decades. 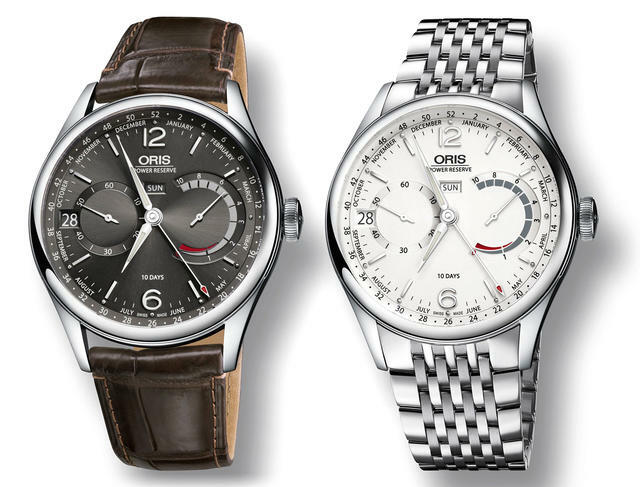 Oris then added two more watches in the series, all of which feature a ten-day power reserve, a non-linear power reserve indicator and a small seconds subdial. Calibre 113 continues the series’ use of 43mm multi-piece stainless steel cases and clear sapphire casebacks. 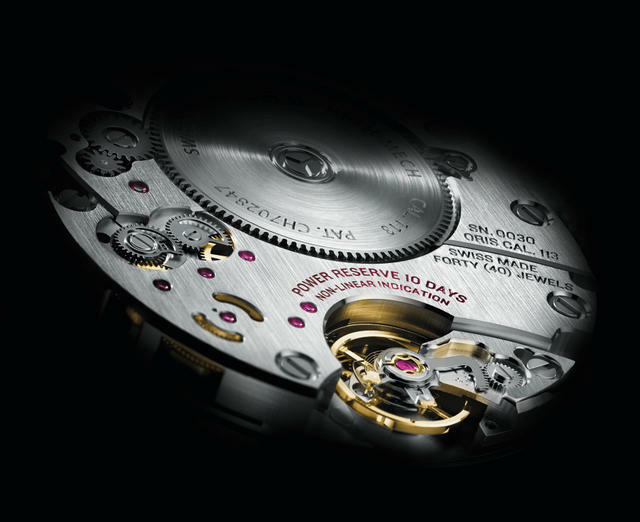 The latter allows wearers to enjoy a clear view of massive spring barrel that powers the caliber’s ten-day operating period, which (as usual for the series) is proudly displayed with an equally large power reserve indicator on the dial. 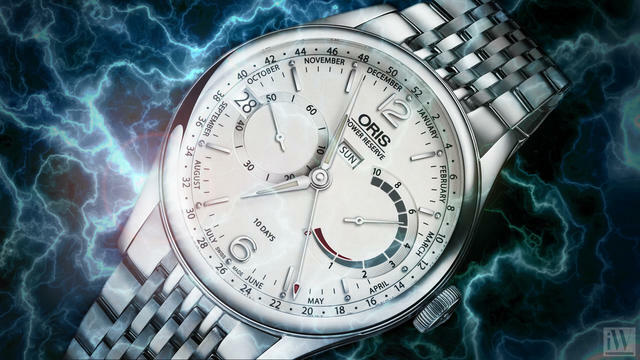 Oris has engineered Caliber 113 so that using a single crown the wearer can operate all the calendar functions, as well as time setting and winding. The watch will be available with an anthracite dial and a dark brown Louisiana crocodile leather strap or a stainless steel bracelet or a with an opaline silver dial on a grey, black or dark brown Louisiana crocodile leather strap or a stainless steel bracelet. Price: $5,900.